EXCLUSIVE! 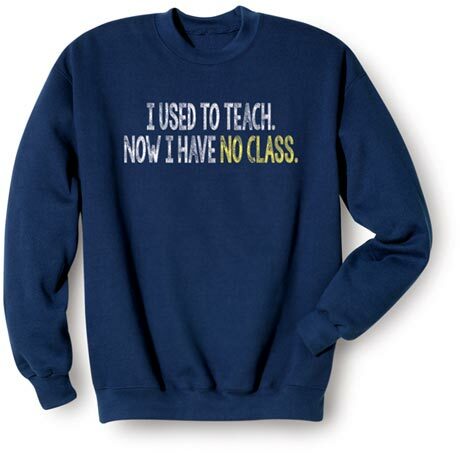 For the retired teacher with a sophisticated sense of humor. Navy blue sweatshirt is 50/50 cotton-poly. Sizes M-XXL. Imported.